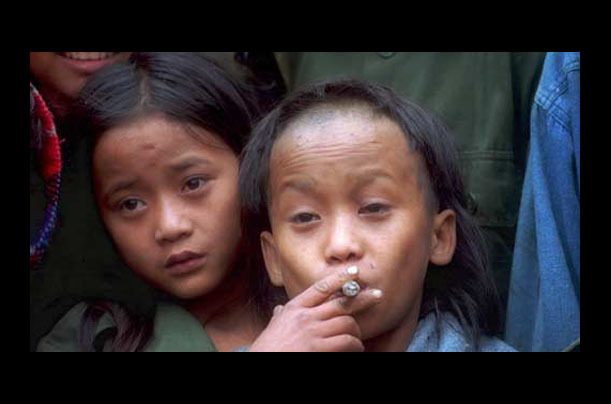 Twelve-year-old Myanmar rebel Luther Htoo (with stogie) and his twin brother, Johnny, were leaders of the fundamentalist Christian guerrilla group God's Army. The twins said they controlled 400,000 invisible soldiers who were immune to bullets, but their forces appeared to number only 200. In January, 10 of the Htoos' soldiers seized a hospital, but they were killed by government commandos. After God's Army headquarters was captured, the twins disappeared into the jungle.